Can I turn the system off when I go on holiday? Yes. Talk to your local agent to discuss procedures. Can I reuse the water from an ATU back into a house? No, the treated water is used for irrigation only. How much power does a system use? All our domestic ATUs require single phase 240volts, 50Hz, and 10amps. 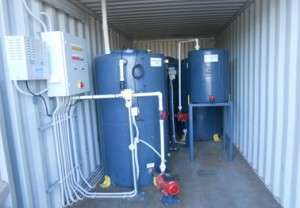 Aerobic treatment units (ATUs) are self-contained electrical wastewater (sewage) treatment systems. They are used on properties that cannot be connected to the sewerage main. There are several ATU designs approved for use in single houses in Western Australia. They can also be scaled up in size and used in multi-residential and non-residential developments. Larger systems require individual assessment and approval of their technical design. In other states, ATUs are referred to as aerated wastewater treatment systems (AWTS). Do I need an ATU or a Septic Tank? This will depend on your local shire requirements. 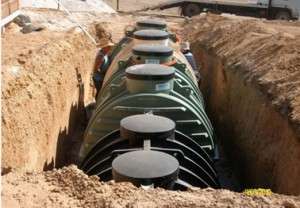 A septic tank is a small-scale sewage system common in areas with no connection to main sewage pipes. The untreated effluent is disposed using leach drains. 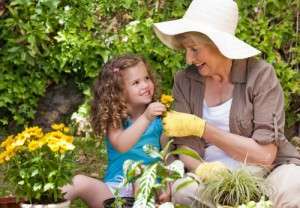 What is an Alternative Treatment Unit (ATU)? An ATU is a wastewater treatment system. ATUs treat all the wastewater from a residential home or commercial site. The treated wastewater can be used for irrigation in garden beds, orchards, etc or disposed of into leach drains, soakwells and aquasafe drains. What additional items/equipment will I need to buy to install an ATU? None, our units come with all items necessary to operate. My house is larger than a standard 4-5 bedroom home. Can I install an ATU? Yes, we can design and configure an ATU to suit any home. Where is Aquarius Wastewater Management based? One of the advantages with an Aquarius unit is that we are local. Our ATUs are manufactured in our Balcatta factory. If you have any issues, questions about your unit or would like to see our products, you can call us or drop in. If you are in a rural area and can’t get to Perth, you can call your local agent for advice. Do I have to use sub-surface drippers? No, you can use Leach Drains, Soakwells or Aquasafe Drains. I don’t like the idea of using chlorine. Is there an alternative? 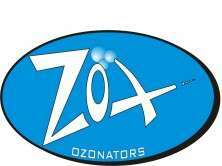 Yes, we use Ozone as the final disinfection process. Ozone is many times more effective than chlorine and the by-product of Ozone is Oxygen. If I have an issue with my ATU, what do I do? Call your local approved agent (installing/servicing plumber). If you are unsure, call us on 08 9240 8545. I have been told by my local Shire that I need an ATU that reduces phosphorus and nitrogen. Do you have an ATU that does this? Yes, our O-2NR and O-3 models treat the water to reduce phosphorous and nitrogen and these two ATU models are classified as nutrient retentive which is essential in water catchment areas, environmental sensitive areas and to comply with some local shire requirements. Does the Aquarius ATU have Australian Standards? Yes, Aquarius ATUs are approved to Australian Standards and carry the Australian Standards Mark. What is the warranty period on the Aquarius products? I want to reuse my greywater. Can I install a septic tank and a separate greywater system? Yes. The first step is to give your local approved agent a call. They will be able to advise the most cost effective option that suits your requirements. How much does it cost per maintenance? This will depend on your location and type of ATU. Contact your local agent for details. Does the Aquarius ATU need maintenance? Yes, our ATUs will need to be serviced every 6 months as per Department of Health WA regulations. Who is the Approved Agent in my area? Please contact us on 08 92408545 to find your local Approved Agent. I have my own plumber. Can he/she install the Aquarius ATU? No, under the Department of Health WA regulations all ATUs have to be installed and serviced by a fully trained Approved Installer. Do I need to notify the Shire that I intend to install an ATU? Yes, your local agent has to submit an application package to the local authority to install your ATU. I have heard that you must be careful with the types of soaps, shampoos and cleaning products I can use. Is this correct? The Department of Health has published some guidelines on the use of certain products in all types of ATUs and septic tanks. Your Approved Installer will be able to provide you with more detail. If in doubt “Go Green”. I don’t know what the depth of the water table is on my block, how can I find out? Your local Shire may be able to assist you or information can be found on the internet. Go to www.water.wa.gov.au. I have a very large block. Can I irrigate more than one area? You can water multiple areas of 150m2 using a Hydraulic Diversion Valve. We have a high water table, will this affect the installation? In areas of high water table we recommend installation of the ATU using concrete tanks. Our block is small and I can only fit 100m of the sub-surface drippers in the backyard. Can I put the other required 50m in my front yard? Yes, you can split the sub-surface irrigation but it will be subject to Local Shire Approval. If the irrigation is split into more than one area, all areas must be irrigated at the same time to a minimum of 150m2 subject to local Shire approval. Can I install the sub-surface drippers under my lawn? The irrigation manufacturer does not recommend non-compensating dripper lines to be installed under lawn. Sub-surface drippers can be installed under lawn, but more maintenance will be required such as flushing a root-inhibitor through the drippers on a regular basis. You may also require potentially 3 to 4 times more dripper line to achieve a consistent coverage. Another solution would be to use compensating drippers; we would suggest discussing with your Approved Installer to determine the best solution for your property. Our block is small and the ATU will not fit into the backyard. Can it be installed in the driveway? Yes, we have a number of solutions. Our ATUs can be configured using concrete tanks with trafficable lids or duralen plastic tank with trafficable lids. Specific installation requirements will be necessary and weight restrictions apply.